Caleb Clardy, founding pastor at Trinity Grace Church, teaches about prayer during Epiphany in January and February 2019, speaking at Middle School 51. The weekly teaching is contextualized specifically for our church in the Park Slope neighborhood and our local congregation. Explore the archives and subscribe to our podcast. Caleb Clardy, founding pastor at Trinity Grace Church, teaches from Psalm 126:1–6 on the Last Sunday after Epiphany, the final week in our series "Teach Us To Pray," on March 3, 2019. 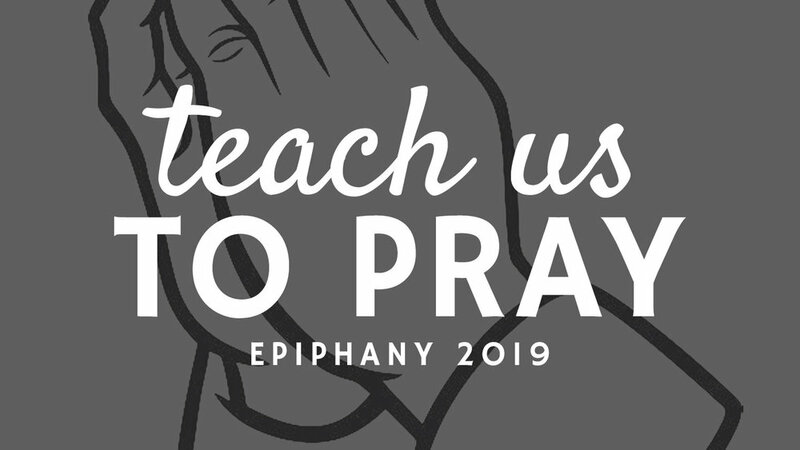 Caleb Clardy, founding pastor at Trinity Grace Church, teaches from Ephesians 6:10–20 on the Seventh Sunday after Epiphany, the eighth in our series "Teach Us To Pray," on February 24, 2019. JP teaches from Luke 11:9–13 on the Sixth Sunday after Epiphany, the seventh in our series "Teach Us To Pray," on February 17, 2019. Caleb Clardy, founding pastor at Trinity Grace Church, teaches from James 5:13–18 on the Fifth Sunday after Epiphany, the sixth in our series "Teach Us To Pray," on February 10, 2019. Caleb Clardy, founding pastor at Trinity Grace Church, teaches from Matthew 6:9–13 on the Fourth Sunday after Epiphany, the fifth in our series "Teach Us To Pray," on February 3, 2019. Caleb Clardy, founding pastor at Trinity Grace Church, teaches from Psalm 51:1–19 on the Third Sunday after Epiphany, the fourth in our series "Teach Us To Pray," on January 27, 2019. Caleb Clardy, founding pastor at Trinity Grace Church, teaches from Psalm 139:1–24 on the Second Sunday after Epiphany, the third in our series "Teach Us To Pray," on January 20, 2019. Caleb Clardy, founding pastor at Trinity Grace Church, teaches from Psalm 46:1–11 on the First Sunday after Epiphany, the second in our series "Teach Us To Pray," on January 13, 2019. Caleb Clardy, founding pastor at Trinity Grace Church, teaches from Luke 11:1 and Philippians 4:6-7 on Epiphany Sunday, the first in our series "Teach Us To Pray," on January 6, 2019.